I’ve been reading an excellent novel my son recommended, A Doubter’s Almanac, by Ethan Canin. The book has bent my thoughts toward family. My father turned 93 in January. 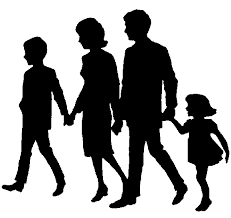 Dad held exactly four pastorates in his long career, each roughly twice as long as the one before. He was a pastor’s pastor. I saw my father as deeply good, though never as a powerful man. He was too kind to be seen as powerful. When he was well into his 80s I asked his opinion about the afterlife. He answered, “Well, I hope God lets me into heaven.” I assured him, “Dad, if you aren’t getting into heaven, I don’t think there’s much hope for any of us.” Though he feared God as the ultimate disciplinarian, Dad was invariably gracious toward others. The last time I visited my father was on his 90th birthday. It was one of the final times I traveled as Paul. I had already lost my job, though I had not informed him. When I told my father a few months later that I was transgender, he said, “This doesn’t change how we feel about you one tiny bit.” Once he began to understand what that meant, his struggle became monumental. Having lived his entire existence in the evangelical subculture, Dad has never been well versed in the ways of the world. After my revelation, I imagine he called his two physician friends. Being men of my father’s generation, they themselves probably did not understand much about what it means to be transgender, but I am sure they were gentle and supportive. Once my mother began to understand what I was telling her, she demanded that her subject behave properly. She had a tendency to overestimate her power. When Mom realized I was definitely transitioning, she thought she could keep my transition a secret. She is unaware of the reach of social media. My mother gave me my intelligence, quite a generous gift really. She ingrained in me a love of books and kept close watch over my studies. Mom had a quick sense of humor, though she rarely gave herself permission to use it. I am afraid she was hindered by her religion, her geography and her times. I have compassion for my mother. I always looked like her. Now I really look like her. I don’t mind. After a few tense years of precious little contact other than the occasional letter, I called my father on his birthday. It took him a few minutes to understand with whom he was speaking. He said, “You don’t sound the same.” I replied, “No Dad, I don’t. I’m Paula now, and Paula does not sound like Paul.” Dad mused, “Well, I suppose that would be true.” I was sitting alone in a nearly empty Marriott Hotel restaurant in Phoenix and my tears dropped onto the linen tablecloth. I had hoped to hold off transitioning until my parents were gone. I wanted to spare them the pain. But in these life and death matters we do not always have good choices. In case you are curious, unless I choose to show it to them, my parents will not read this post. They do not go online, nor does anyone read my blog to them. Most of their friends do not approve of me. I am an outsider and there are limits to fundamentalist generosity. I hold no animosity. I hope my visit with my parents goes well. No one said this would be an easy journey. When you visit your parents,do they still live in our home town? I’d love to be down there and see you, if you’d have time to meet for lunch! 🙂 Paula,you are beautiful inside and out!! They live in Lexington now Janet. It would be wonderful to see you. i sit here in Haiti and my eyes too are moist. Thank you for this poignant post. I do look forward to seeing you soon, though you have been in my weekly prayers long before your transition. I look forward to our visit. It has been too long. Thank you for sharing this. Your parents sound like people who will love you even without understanding of your transition. I pray that is the result of your visit. As I get older I find myself being drawn back to a deeper relationship with my family. My parents have passed and now I have rediscovered my paternal cousins through FB and it has been a delight. Prayers for your trip, Paula. Powerful and as always, honest and authentic. Prayers for your visit. Beautifully painful… ” Forgiveness, Forgiveness, even if, even if, you don’t love me anymore”. Don Henley. Your post brought these lyrics to my mind from the past. The unconditional or the completely complete seem so far out of reach across the divide of each persons raised faith. Both are supernatural words to me and impossible to embrace in the natural. And yet, there is that something in family, that hopefully, in time, can bring about those chance moments with family. A moment where the beauty of our best childhood moments can over power our divides and pains, and remind our souls that we are one, and belong to each other for this moment on earth. I pray for these moments for you. I love your words Craig. Thank you so much. Probably because I know something of the background of this post, I find it touching and poignant. I admire your generous and sensitive understanding of your parents struggle to understand. Prayers for a healing reunion. Wow Paula. So filled with grace. Praying your family member’s hearts will be melted by your warm, gracious spirit. Hugs! I have no doubt they will come to accept you. It may take more than one visit for them to get past the “loss” of Paul. They belong to a generation that has adjusted to many changes. In time, having them know you will be a great comfort for you, I suspect. Safe travels. I pray your visit with your family goes well and your are all filled with God’s abundant grace and feel loved by each other despite it all. I hope and pray you are all understanding of each other’s difficult and complicated mix of emotions and have mercy on each other. You are a family and always will be. There is still a tremendous amount of love just waiting to be shared. Try to not to waste a drop of it! Your words mean so much to me Barbara, so much! I have learned so much from reading your writings. Growing up where we did we weren’t exposed to anything other than the “norm”. I admire your courage to become who you were supposed to be. My prayers will be with you seeing your parents and brother. Remember family is not always blood related. Thank you so much Cheri. Paula, I so relate to you. It’s been 25 years since my parents and brothers disowned me. I’m hope to meet with a nephew and his wife next month who until a few months ago didn’t even know I existed! I pray for healing hearts in your family. Those little peeks of light we see in our family can be the start of some powerful reconciliation and proof of God’s mighty redemption. Will be prayer for you my sister.